Every now and again, Kansas State head coach Bill Snyder will dodge a question by claiming forgetfulness. Though I’m somewhat skeptical, it might be true that the 73-year-old can no longer recall every detail of every game of the last 20-some years. What he does remember are people. On Tuesday I asked Snyder if he remembered a guy by the name of Jaime Mendez, a safety who played four years for the Wildcats beginning in 1990 – the year this senior in college was born. Needless to say, it has been a while since Mendez was on campus. Except it really hasn’t. Snyder saw Mendez just a couple weeks ago, when the former player stopped by for a visit while in town. Players are not the only ones Snyder appreciates. All coaches credit fans for their support, but Kansas State’s coach does so with unmatched fervency and sincerity. He talked Tuesday about the fans but also praised the football team’s support staff, naming several individuals representative of everyone inside the program, whose contributions few on the outside ever realize. 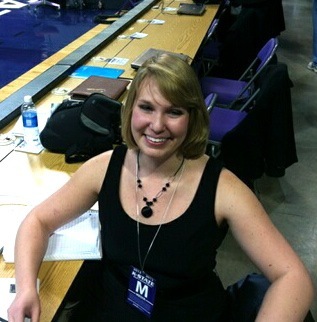 These are the people who make the road trips go off without a hitch, who make the arrangements so the Wildcats get the consistency prior to each game that Snyder considers so vital. The coach talked in particular about the journey to West Virginia, which he described as one of the most complex trips to organize. Upon arrival, Kansas State was greeted by Robert Lipson, who has been to every home game and conference road game since 1972. Lipson might be described as something of an oddball, being so dedicated to the Wildcats that year after year after year he drives to every contest and sleeps in his car when he gets there. As is evident by the year he began following the team, however, Lipson believed in Kansas State long before anybody else did. He supported the program long before the Wildcats gained national attention, and in fact, he remained a fan even while the program went through one of the most futile stretches in its history. Snyder has not forgotten that loyalty. For as much success as he has had on the football field, the lasting legacy of Klein will not be winning the Heisman Trophy or even quarterbacking his team to a national title, if indeed the Wildcats continue their undefeated streak. Klein will be remembered for the person he is and for how he values other people. For Snyder, it is the same. 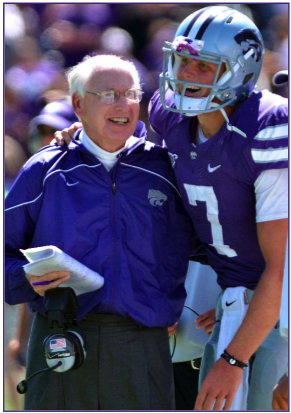 Kansas State has enjoyed so much success this year and last year that it is easy to forget the depths from which the program has risen since coach Bill Snyder’s return in 2009. Following Ron Prince’s three-year tenure, the team went 6-6 and missed out on a bowl berth. The new staff – led by the legendary Snyder – had many problems to address. Certainly, the 7-0 record of the Wildcats to this point in time would indicate that those issues have been dealt with. There are plenty of numbers about time of possession, turnover margin and penalty yardage that speak to the fact that Kansas State is a disciplined group. Kansas State has the fewest penalties of any team in the country (24 total), leads the Big 12 in turnover margin (+12) and ranks in the top of the conference in time of possession. But on Tuesday, wide receiver Chris Harper took a good amount of time to describe a culture change beyond statistics. Suffice it to say that some of the players on the team when Snyder returned did not live up to the high standards Snyder has for his athletes as individuals. Harper said there were some players who “were in trouble” – guys who wouldn’t even think about going to classes or who went out to Aggieville after games and winded up getting arrested. According to Harper, those are not problems Snyder has to deal with anymore. Besides the expectations of Snyder and his staff, the players in leadership positions – the names of captains Collin Klein, Arthur Brown, B.J. Finney and Ty Zimmerman come to mind just for starters – will not stand for that kind of behavior. Kansas State’s Bill Snyder has a reputation for being not the most forthcoming or scintillating interview subject. He is not a big sharer of specifics, and he can skillfully circle a topic until a reporter has forgotten the original question. Most of Snyder’s answers are true but vague responses that go back to the fundamentals of the game, team sports and life in general. To be fair, those are constant, and Snyder has been answering the same questions about football teams for decades now. What most outside the weekly press conferences miss out, though, is this: Snyder is funny. Today’s little quirky responses reminded me of the first time I encountered the Snyder wit. I was a freshman in college, 18 years old and probably the only girl and the youngest person in the room. I could literally feel my pulse quicken as I prepared to ask the legendary coach a question. The response I got made such an impression that I actually transcribed it, along with the exact wording of my question, and I found it saved on my computer today. I got a kick out of it, and I figure some others might as well. As you can see, he took an opportunity to make a joke, but he also followed up with a sincere answer. This is Snyder’s modus operandi. The vast majority of the time, if he pokes fun at a question, he apologizes and then gives a more quotable response. All in all, though, it’s good to see that after 50+ years in the business, he still has a sense of humor and is not afraid to use it. It’s already past the midpoint of October, and just like that, the Wildcats are 6-0 and bowl eligible. Here’s a look at what they’ve done so far and what they’re going to need to do moving forward. Mentality The team has really embraced this underdog persona. They might be favored in a few games, but both cornerback Nigel Malone and defensive end Jordan Voelker said the Wildcats always have a chip on their shoulder, regardless of the opponent, simply because many people did not expect this team to amount to much in general. That source of sustained motivation is important, especially with “should win” games against KU, Iowa State and Texas still coming up. At the same time, I think the players genuinely believe in head coach Bill Snyder’s methodology and the preparation he puts them through, and that gives them confidence that they really can win any game. Obviously, that confidence and faith in each other is essential if the Wildcats plan on knocking off Oklahoma, Oklahoma State and/or Texas A&M. Offense What Kansas State does with the football might not excite people right off the bat. That’s okay, though, because the results are exciting. In a league full of fast-moving, quick-scoring teams, the Wildcats’ attack is more measured, more methodical, and so far, pretty effective. While head coach Bill Snyder said the offense needs to be more prominent than it is now, he joked that the unit’s goal is to score more points than the team’s defense gives up, so up to this point, the offense has met its goals. The rushing game has been effective so far, largely because the Wildcats have a one-two punch between running back John Hubert and Klein. Both are averaging nearly 100 yards per game on the ground. Going forward, the Wildcats need to develop a stronger passing attack. 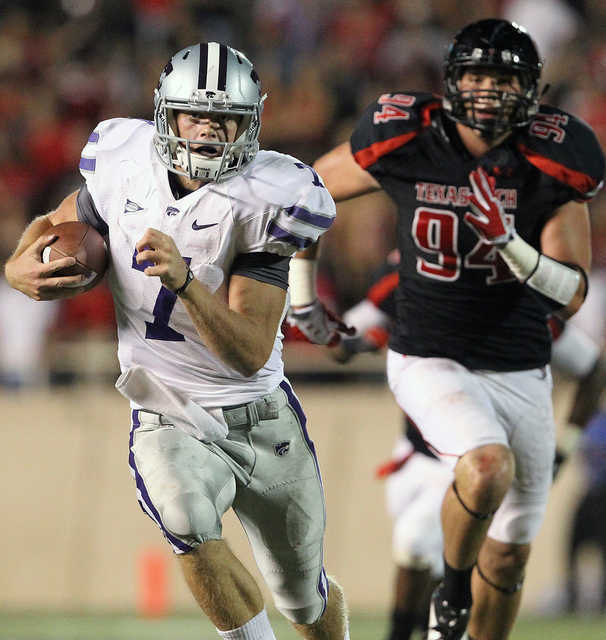 As quarterback Collin Klein continues to pile up repetitions, he becomes more accurate and makes better decisions. It looks like Snyder has cracked the playbook just a little bit more in recent weeks, but against meatier opponents with more seasoned defenses, Kansas State will need all cylinders firing. Defense Easily the team’s most reputable unit so far, this group has been fun to watch. They like what they’re doing. The enthusiasm, passion and enjoyment of playing have made the Wildcats even more focused and disciplined. Simply stated, this is the area no one outside of the team is worried about. If there is one thing I would nitpick, it would be the secondary getting burnt on long pass plays. As Snyder says, this is bound to happen from time to time, but 10 different Texas Tech receivers had a catch of 10 or more yards on Saturday. That makes me worry a bit about what will happen when the Wildcats play Oklahoma and Oklahoma State. Special teams This group has been inconsistent. (As Snyder says, his son Sean, special teams coach, would be pulling his hair out if he had any hair.) Last week specifically, it performed tremendously. There’s not much more you can ask for than a 100-yard kickoff return for a touchdown and two blocked field goal attempts. A less glamorous aspect of that game was the kickoff coverage team, which made Texas Tech start an average of 79 yards from the end zone on their five drives that began with kickoff returns. Like everything, improvement needs to be made, particularly by the punt return unit, but the potential here is high – think Tramaine Thompson, Tyler Lockett and David Garrett. Is it really fair to keep calling the Wildcats underdogs? Week after week the line favors the other team, and week after week Kansas State finds a way to triumph. It makes many mistakes, it misses opportunities here and there, but the coaches and players overcome all that. The result? The team’s first 6-0 season since 2000, when many of the college juniors – like myself – on this year’s team were just 10 years old. On Saturday, the Wildcats took on the Red Raiders in Lubbock. They had not won there since 1997. They hadn’t beat Texas Tech in the last five seasons. But yesterday, Kansas State did exactly that, 41-34. The team won the game and bowl eligibility even though it gave up 30 points – only the second time that has happened in a conference road game since 1989. For example, Nigel Malone’s pick-six to start the game – not the worst way in the world to grab some momentum and put a hostile crowd on its heels. Of course, two more interceptions – one by Tysyn Hartman, another by David Garrett – boosted this defense’s credentials even more. 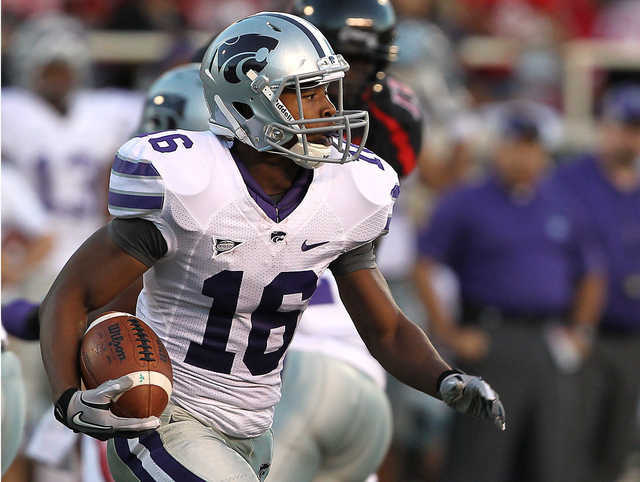 On special teams – long an emphasis of Snyder squads – the Wildcats had a 100-yard kickoff return for a touchdown by freshman Tyler Lockett, son of his school’s all-time leading receiver Kevin Lockett. (For more on Tyler, check out my AP article on him.) Oh, and Raphael Guidry blocked not one, but two field goal attempts by the Red Raiders. Offensively, there weren’t massive fireworks, but the Wildcats did score 41 points while amassing just 339 yards of offense … as opposed to Texas Tech’s 461 passing yards and 580 total yards. Like Snyder said, though, it was not a perfect performance by any measure. The coach values discipline, and the Wildcats committed 10 penalties for 78 yards, including multiple false starts. He also wants the team to preserve a “bend but don’t break” mentality and avoid giving up the big plays that will really sink the ship. While it could be argued the Wildcats did ultimately accomplish that, the secondary got torched on several huge pass plays – including the 40-yard strike that got the Red Raiders their first six points – and the defense allowed nearly 600 yards of offense. Also, kicker Anthony Cantele missed on the extra point attempt that followed Lockett’s touchdown, and he couldn’t convert on a 31-yard field goal attempt with under five minutes to play. Can we go ahead and recognize what a talented quarterback Collin Klein is? Completing 12 of 18 passes for 146 yards and one touchdown is something that will catch Heisman voters’ attention, by any means, but stats mean a heck of a lot less than wins do. For example, Texas Tech’s Seth Doege connected on 43 of 63 passes for 461 yards, but he had 3 interceptions, and the Red Raiders lost. Plus, with Klein’s 110 rushing yards and 3 touchdowns on the ground, he has numerically moved into the same conversation as Michael Bishop and Ell Roberson, the only other two Kansas State quarterback to crack the 1,000-yard rushing mark. Klein now has 1,002. Texas Tech had 10 receivers who caught a pass of 10 or more yards. Four of those caught one for more than 15 yards. Two of those caught one for 40 or more yards. Obviously, defenses will give up a big play now and then, and those big plays are much more likely to be pass plays than run plays. But giving up 461 yards through the air is not something the Wildcats can afford to do long term. Shoring up the secondary will be key to beating teams like Oklahoma and Oklahoma State, whom Kansas State faces in back to back weeks on Oct. 29 and Nov. 5. 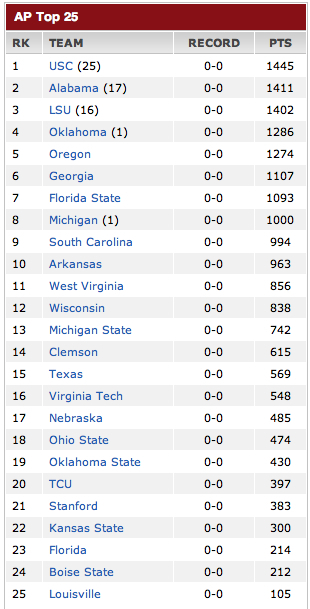 Of course, since the AP now has Kansas State ranked No. 12 in the nation, that whole “underdog” persona might be difficult to hold on to, at least next week when the Wildcats face the poor, hapless Jayhawks. Obviously, the team should not overlook anyone, but if there was any team Kansas State could overlook and get away with it … Wait a minute, remember Eastern Kentucky? Better not to underestimate anyone. At 6:10 in Bill Snyder Family Stadium tomorrow, the Wildcats will take on the Golden Flashes. It will be Kent State’s first ever visit to Manhattan. While the team began its season 0-2, it also turned Alabama over five times during its season opener, and it has not begun a season 0-3 since 2000. Ignore for a minute the fact that Kent State is part of the Mid-American Conference (MAC). Believe it or not, this team has one of the elite defenses in the country. Last year, it ranked 10th overall, allowing on average only 306 yards of offense per game. Even after the departure of the defensive coordinator and four players to the NFL, the Golden Flashes got five turnovers off of Alabama and held Louisiana (their second opponent) to only 179 yards of offense. That’s the fifth time in a span of 14 games in which Kent State has held an opponent to under 200 total yards of offense. I don’t care who you are. That’s impressive. The big name on the Kent State defense, of course, is Roosevelt Nix, who last year was the first true freshman to ever be named MAC Defensive Player of the Year. A consensus Freshman All-American, he began his sophomore year with a sack and two tackles for loss against the Crimson Tide. 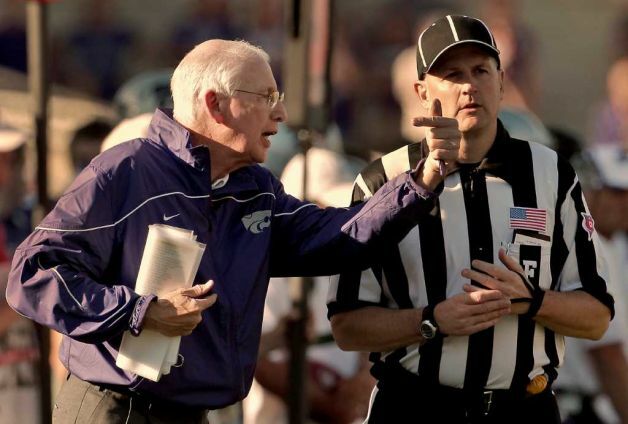 Kansas State head coach Bill Snyder certainly appreciated what he saw of Nix’s play. Unfortunately for Kent State, it seems that as good as its defense is … that’s how bad its offense is. In its first two games, it has amassed just 19 points. Of course, give Alabama its due; a first game against the Crimson Tide isn’t helping anyone’s averages. Snyder pointed out that the Kent State quarterback, Spencer Keith, has struggled and is currently a 44 percent thrower, but he also mentioned that the guy is going into his third year as a starter. That confidence of his coaches and teammates comes from the fact that he throws really well when he throws well, and he isn’t immobile, Snyder said. Kent State has some quality offensive players, like receivers Tyshon Goode and Sam Kirkland, but what Snyder said would be occupying his mind is what he hasn’t seen from the team to this point in the season. 1. Unity is an element that head coach Bill Snyder emphasizes. The Wildcats demonstrated that in a big way as they persevered through a long, largely futile and somewhat embarrassing 10-7 win over Eastern Kentucky in the season opener. Not only did they grind away until finally getting some points, but according to quarterback Collin Klein, the mood on the sidelines was supportive despite the fact that the defense was thriving (allowing only one touchdown, and that when EKU recovered a fumble at the Kansas State one-yard line) while the offense struggled. 2. The performance against Eastern Kentucky was only the first game of the season. After watching film of the game, Snyder said the majority of mistakes were correctable ones. Among those were inconsistencies in footwork along the offensive line, which the coach attributed in part to some of the players being a little nervous in their first game and therefore not focusing enough on the mechanics of their position on each snap. 3. It was a bad game. Simply and truly, the game against Eastern Kentucky was not a demonstration of the Wildcats all performing at their maximum potential. Mistakes were made. In fact, center B.J. Finney called the game a “crapshoot of mistakes.” Obviously, the good news here is that not every game will be a bad game.